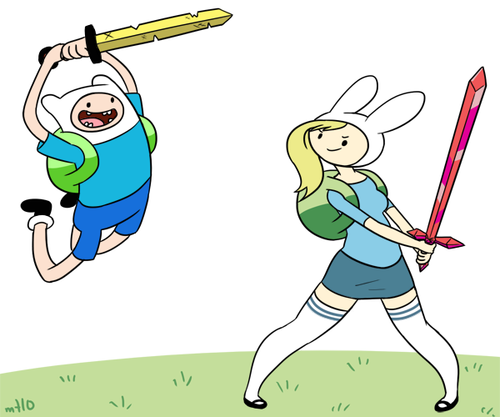 Finn and Fiona. . Wallpaper and background images in the अड्वेंचर टाइम वित फिन आंड जेक club tagged: adventure time finn fiona. This अड्वेंचर टाइम वित फिन आंड जेक fan art contains मोबाइल फोनों के लिए, हास्य पुस्तक, मंगा, कार्टून, एनीमे, कॉमिक बुक, and manga. 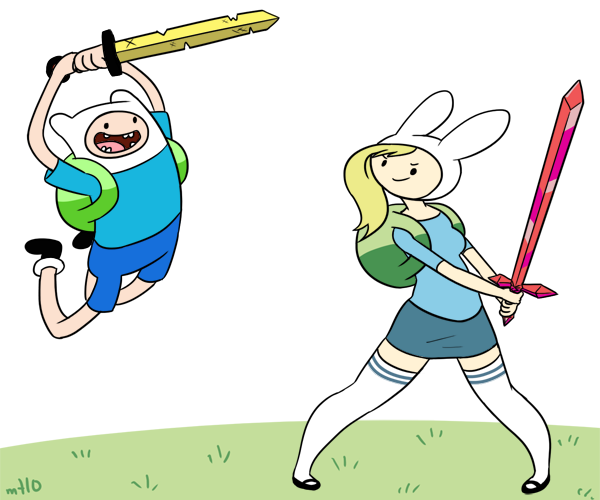 Hmmm... what do you think Fionna'd say? Put both their hair together!!! @FionnaandCake-it would be like a mile long....EPIC!